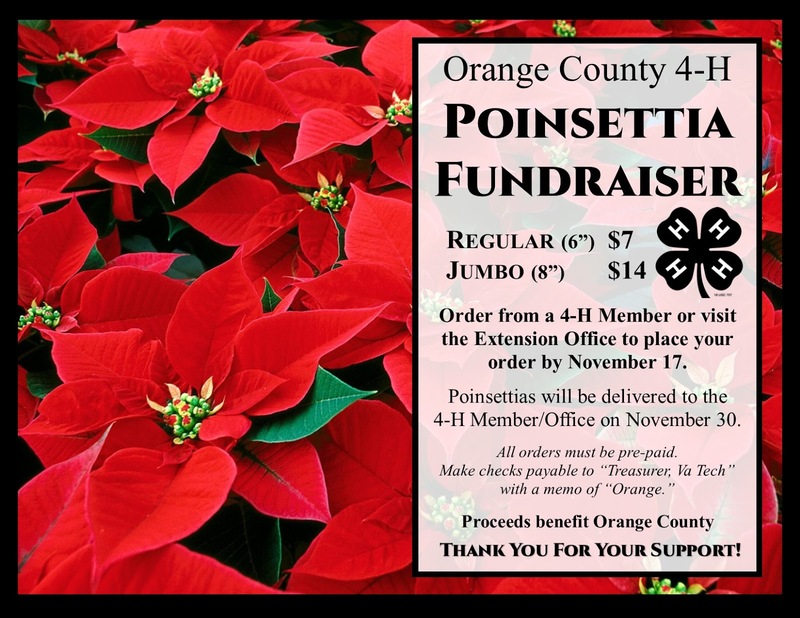 Enjoy your holidays with beautiful poinsettias and support Orange 4-H Youth! Let us help you add a festive look to your home, office or church! Contact a 4-H member or call the Orange Extension Office to place your orders by November 17. Calling all Club Members: Want to help your club? 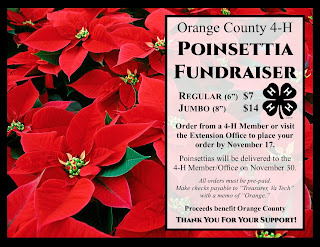 Sell poinsettias to family and friends! Proceeds will benefit your club treasury! To all Campers and Teen Counselors: Want to offset your 2017 camp fees? Sell poinsettias to your friends and family! Thanks to Battlefield Farms for supporting Orange 4-H!